Not Vacant – Just a work in progress! We’ve lived in our current house for almost seven years. As we prepare to move we have been doing some things to freshen it up. 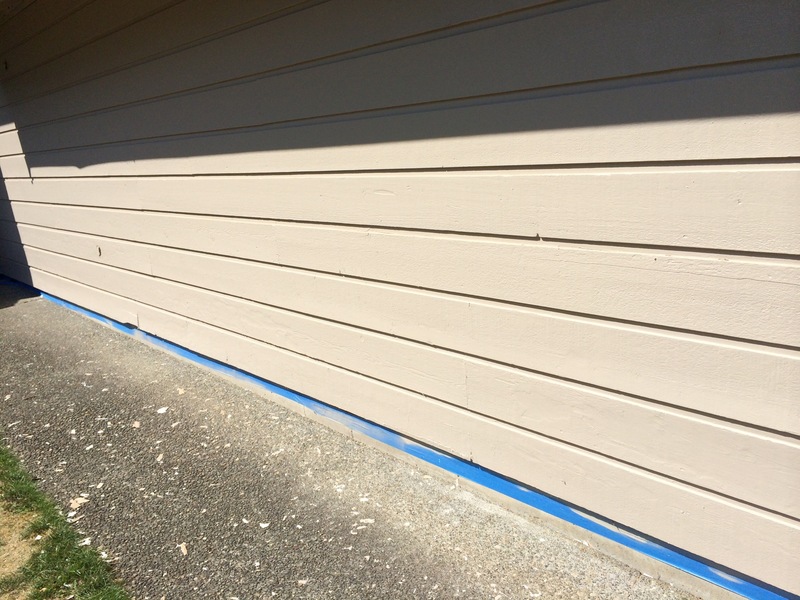 One of the items on the list was to paint the exterior of the house. Our house looked a little outdated (Forest green trim? In my defense it came that way.) but it looked maintained. You can’t paint a dirty house, so the first step was to power wash it. As Vaughn started the intense cleaning process all of a sudden ever weak spot in the paint started to show. Paint chips were flying! It was made clear that our weather stripping on our front door was flawed and that some of our windows weren’t properly calked. Our pour house was starting to look a little ragged. Although we had been working hard we still had work to do before we could cover those awful patches. We had to protect all the things on the house we didn’t want to paint. Windows and doors were taped and covered, we taped the foundation, covered the AC unit, removed the sconces, took off the house numbers and put drop cloths down where we were working. The house looked about as bad as it could at this point. However, because we did all the prep work, spraying the body of the house (two coats) only took one day. The detail work, trim, gutters, putting all the sconces and house numbers back on, will take a little more time still. Finally the work we were doing was making things look better instead of worse. We aren’t quite finished yet, but now at least our home looks like a work in progress instead of abandoned. So many times when we have housekeeping of the soul to do we want to do a quick fix. 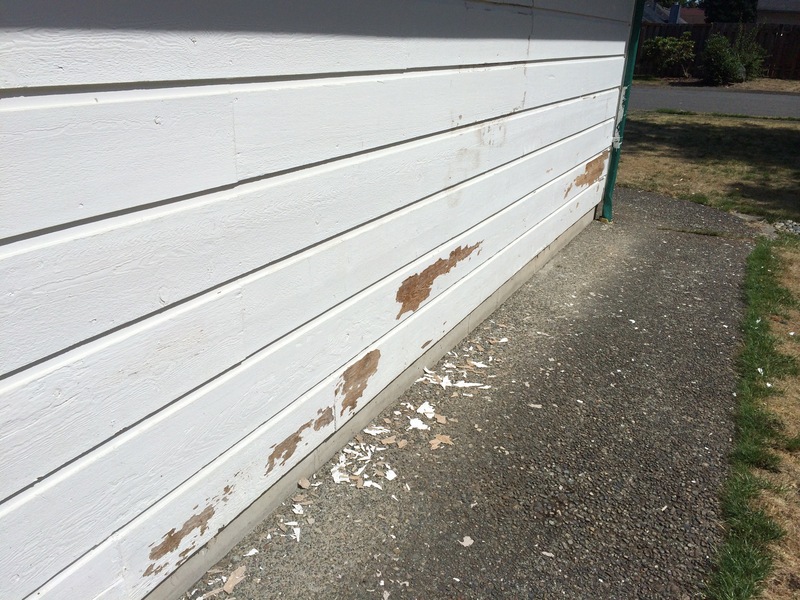 But like painting a house, if you do not do proper prep work and remove all the chipped paint off your new paint will have the exact same weak spots as the old paint. Repentance, true repentance, takes time. It is terrifying when you seem to make things worse first instead of better and it’s hard to see that it’s still forward progress. But our project partner, Jesus Christ, knows how to best get the job done and every step he requires is necessary to accomplish the job correctly. Repentance doesn’t always seem to progress forward, sometimes it seems to zig and zag and go in circles, but when guided by Jesus Christ every step you take is a step in the right direction. Plant your seed of faith!